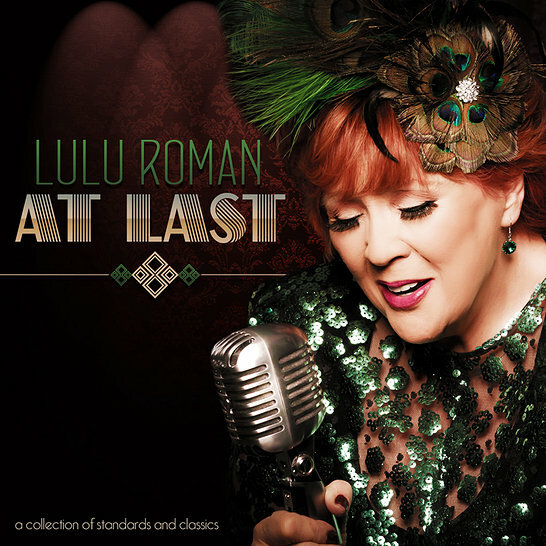 LuLu Roman dropped a new album this month, At Last that showcases her rich voice reminiscent of Roberta Flack performing torch songs she has never recorded before. 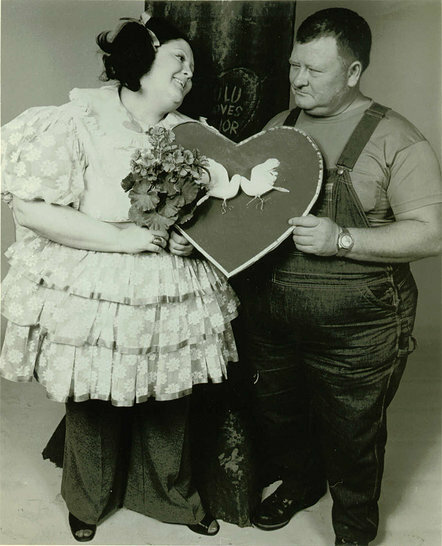 LuLu has enjoyed many successes in her life, known for her side splitting humor and gregarious personality, many people know LuLu as the most requested female cast member from the long running hit Television Show “ Hee Haw”, It is in reruns now on RFD making it 42 years old, gaining a whole new audience. LuLu is an accomplished song writer and performs all over the world. For more than a decade, LuLu has been involved in Christian Gospel winning the “Dove Award” in 1985 for “Album of The Year by a Secular Artist.” In 1998 she was inducted into “The Country Gospel Music Hall of Fame”. In 2002 Lulus’ 16th album, LuLu Inspired was nominated for the Dove Award. Other awards have included induction into the “Christian Music Hall of Fame” in 2007 as well as the “J.D. Sumner Living Legend Award” in 2008. 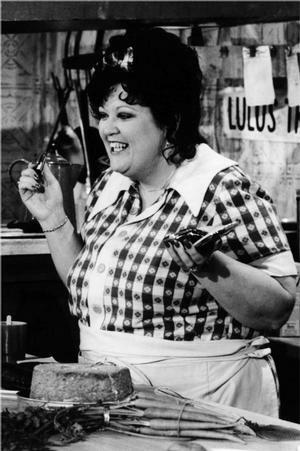 In 2007, she was awarded, with the Hee Haw cast, “The Entertainers Award” from TV Land. The Nashville Bridge sat down with Lulu to talk about At Last, Hee Haw and next weeks’ knee surgery that will keep her grounded for a bit before doing shows later this year. Brad Hardisty / The Nashville Bridge: It sounds like it is going to be a few months before we get to hear the new songs live, I guess. 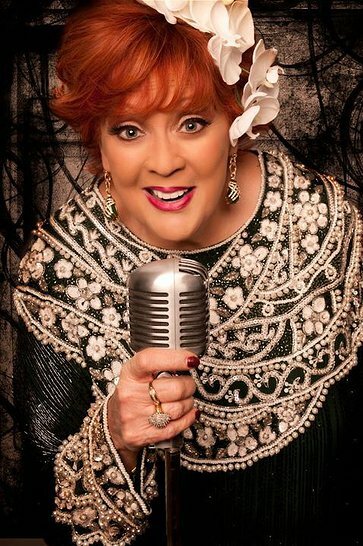 LuLu Roman: Yeah, I am having knee replacement surgery on Monday. I am going to take a little time off before touring for the record. I’m hopin’ I can get up and get at it! TNB: The record is droppin’ on January 15th right? TNB: You have a duet with Dolly. Tell me about that. You’ve obviously known her for a while. LR: Uh huh, I’ve known her for… goodness sakes! Over 40 years! 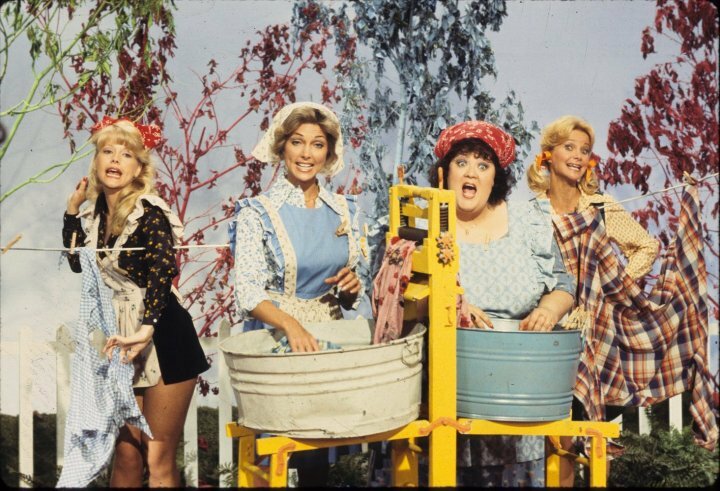 We were young girls when Hee Haw first started and she was out there you know. TNB: Do you have a Dolly story? 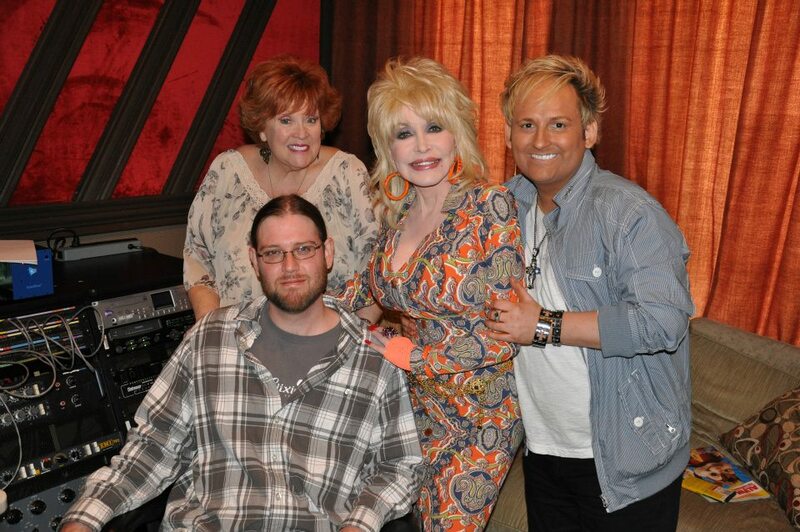 LuLu Roman and Dolly Parton in the studio. TNB: So, she’s a fan. LR: She is absolutely precious. Golly! There is no one in the world like her, she is just incredible. TNB: You have done a lot of Gospel over the years. Are you working with the same Producer? LR: This is totally different because it is mostly standards and classics. Two young fellows, Larry Ferguson and Chris Barnes were the ones that produced this and they’re new to this. My goodness they are good! We just got some of the best players on the map. I’m really proud of this. I really am. TNB: Where did you cut the record at? LR: We recorded at three or four studios, we did. TNB: Did you record at Sound Kitchen? LR: We did do something at Sound Kitchen. I think the one we did with Dolly. I believe. TNB: Was Chris involved in the song choices? LR: Chris would say, “Which is your favorite?” I would say, “ALL OF EM! !” These are nostalgic songs that I remember listening to when I was a young person, years ago; stuff I would kind of put a check next to. I would think, “I want to sing that one…one day.” My youngest son is the one that got me. He got married seven and a half years ago and mercy honey, I’ll never forget it, he said, “I want to get you to sing at my wedding. I said, “No, you won’t!” He said, “I want you to sing a song at my wedding. I want you to sing “At Last.” I said, “You’re kidding.” So, that was the first time I sang that seven or eight years ago. TNB: So, that was the first time you went after Etta James. TNB: You have a really lush, rich voice. You’d be great for more torch songs like that. Like Etta James and Roberta Flack. LR: We were gonna call it torch songs and then somebody said, “Well you have this gospel career and so, you know, some people might not want it”, but, they kind of do. TNB: What is the song you are going to try to get out of there? LR: It looks like it might be the Dolly song they are going for first with Country radio because we talked about that yesterday and from what I understand they have a lot of people calling the radio station saying that is a good “thing.” Then, I think they are going to take “At Last” maybe to another market. TNB: Where is the CD going to be available? LR: We are going to put in the stores and go to ITunes and everywhere. TNB: When you tour, do you have a group of guys you normally play with? LR: Well, with the gospel stuff and the country stuff, I mostly have gone with my tracks or used other peoples bands so we’re discussing putting a band together so we can do this the way we recorded it. TNB: So, you are purposely going to go out and do some shows spotlighting the album? LR: Yeah. We’re gonna do it this year. We are going to do one show and see how it goes. I’ll be going with kind of a Hee Haw Roadshow. You get to do what you are doing currently out there. We had the Hee Haw reunion a couple of years ago and we got a big draw from that, you know. So, I will get to sing a little bit of this and a little gospel singing and see how things work out. TNB: Who will be going out on the Hee Haw type showcase? LR: Roy Clark, Marty will be one of the announcers, Gunilla Hutton, Charlie McCoy and The Nashville Edition. It’s going to be a pretty good show. We will be playing big rooms. We will be in Pennsylvania the first time and that is a big ‘ole room. TNB: It sounds like a really good show. LR: I have been travellin’ so much. I have done a few shows with them the last couple of years. TNB: Have you thought about doing a run in Branson? LR: Well, that’s a possibility, but, I think I’d like to get out there and get with the people and see peoples reaction, you know, before I kind of notch myself in you know. TNB: This will bring people in that maybe, the gospel is okay but it’s not their style, but the standards they will get into; the Nelson Riddle Orchestra type stuff. LR: There is not too many people that don’t like old standards, you know, even young people do. If it’s good than it is good. I’m so excited. I’ve wanted to do these for years and years and years and to finally get it done and get it out there; I’m like a little kid. TNB: This is strictly standards? TNB: He should have sent me “Killing Me Softly” because when I heard your voice, I thought of Roberta Flack because you are right in that tonal range. TNB: You have a pretty loyal fan base. TNB: What’s next after this? LR: Well, I had a list of one hundred songs; so, we got some more we could do. TNB: You could do like Rod Stewart, just keep doing the songbook, he’s been doing it for years. LR: No kiddin’! Yeah, I love that idea. I do. LR: I just would like to say thank you to each and every person that is out there. I hope that this project makes them as happy as it made me to get to do it. The BEST PROJECT. I have heard in a long time. Lots of NUMBER. ONES! !